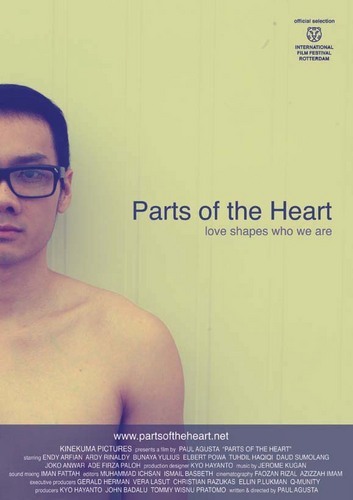 Parts of the Heart tells 8 stories about Peter, a gay man living in Jakarta from the age of 10 to 40 and his experiences with love that help to shape the man he is today. From his first boyhood crush (Stolen Kiss), his first sexual experience (The Game Kiss), his experiences with lost love be it through death (Solace) or societal pressures (The Last Time), to dealing with the rough patches in a long term relationship (3 and The Couch and the Cat). Culminating in a moment where Peter, a few years into his marriage, flirts with infidelity when an attractive young man seeks shelter in Peter’s coffee shop during heavy rain, causing him to question his commitment (Why Isn’t Peter Happy? ).